If we could pull these steps off, what will these conspiracy-mongering grifters have to sell to the naive populace? If everyone trusts their government and feels confident in the democratic process, who will believe stories about powerful unelected forces ruling over them? ! 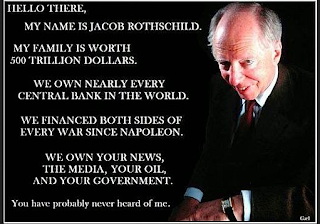 Lord Jacob Rothschild has voiced concern about the inevitable collapse of the ‘New World Order’ under President Trump’s leadership.